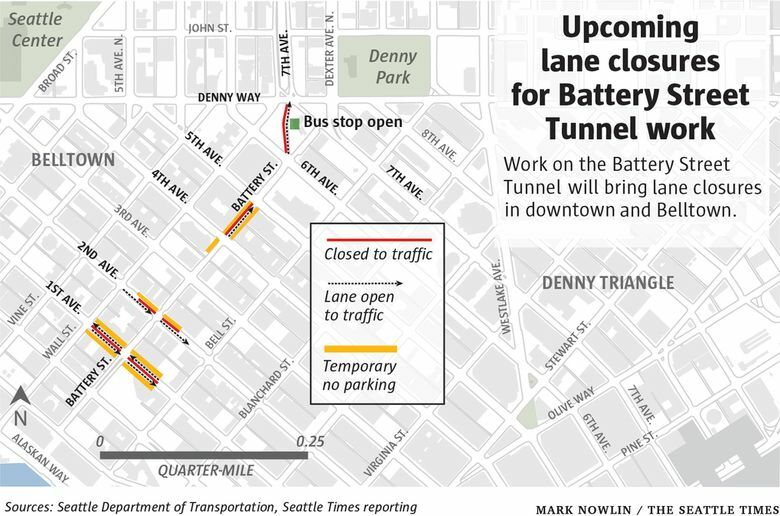 Work inside the closed Battery Street Tunnel will bring lane closures in the Belltown area during the daytime next week. Washington State Department of Transportation (WSDOT) crews need the extra lane space to work on the sewer system inside the tunnel before it is sealed for good. The closures, which will last about a week, are expected to begin Monday, WSDOT said. Travel will be restricted between 9 a.m. and 3 p.m.
Crews will close the middle two lanes on First Avenue between Bell and Wall streets, with one lane open in each direction. On Second Avenue, the middle and left lane will be closed, and the right lane will remain open. On Battery Street between Fourth and Fifth avenues, the westbound lane will be closed and the eastbound general vehicle and bus-only lanes will be open. On Battery Street between Sixth Avenue and Denny Way, the general vehicle lane will be closed and the bus-only lane will remain open. The Seattle City Council decided last year to fill the Battery Street Tunnel with rubble from the Alaskan Way Viaduct, which closed permanently Jan. 11 and is being torn down. 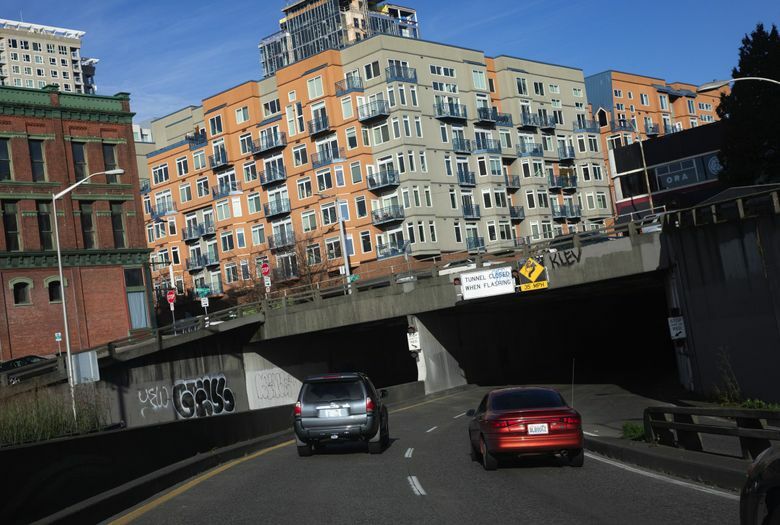 The viaduct and the Battery Street Tunnel were replaced by the new Highway 99 tunnel. Crews plan to rebuild the three-block stretch of Aurora Avenue, now called Seventh Avenue North, reconnecting Thomas and John streets.